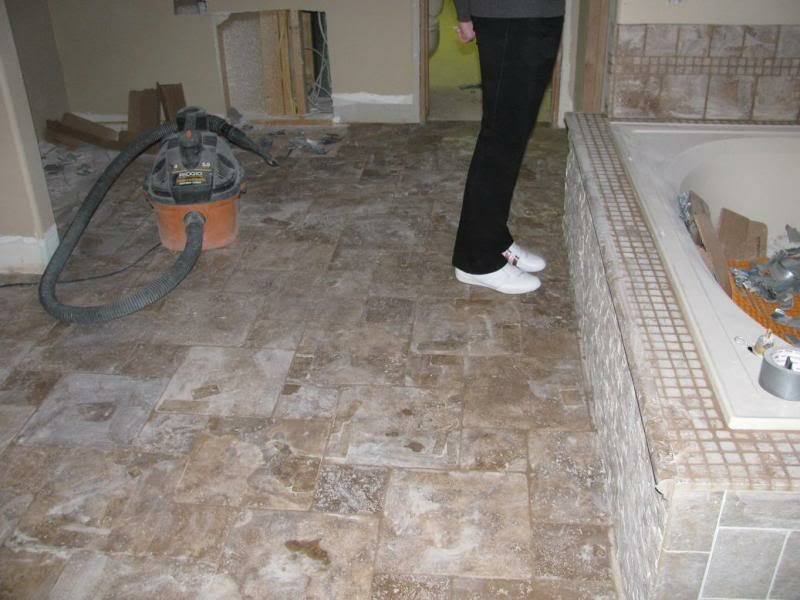 We know customers appreciate photos of who they will be working with just as much as photos of previous tile jobs we've done in Colorado. 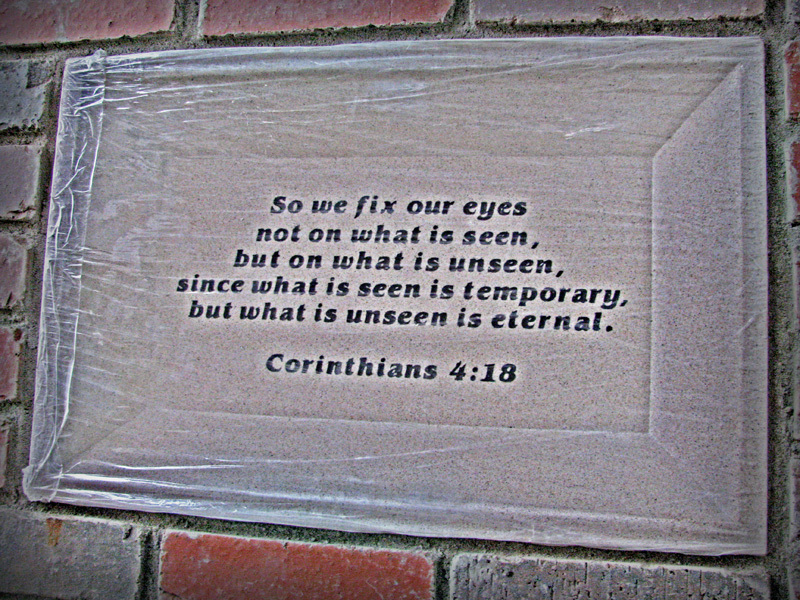 So above you will see that we've done just that for you. 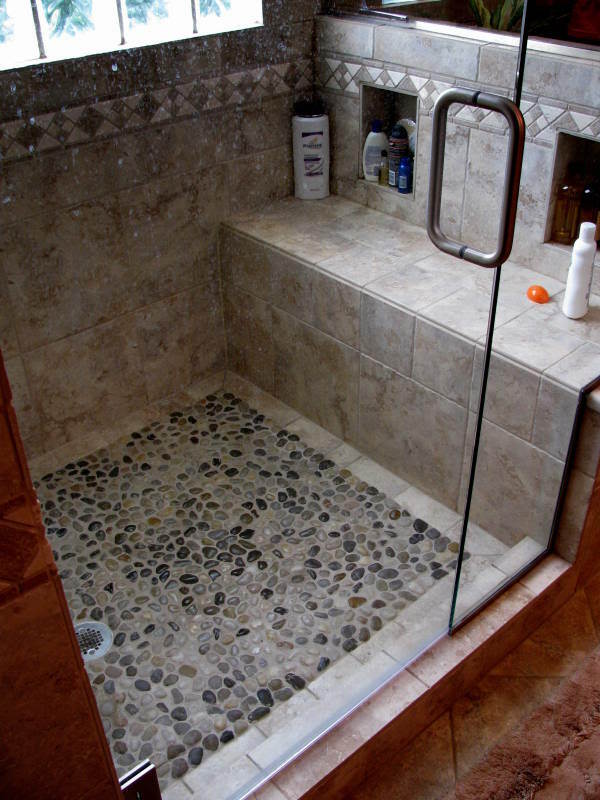 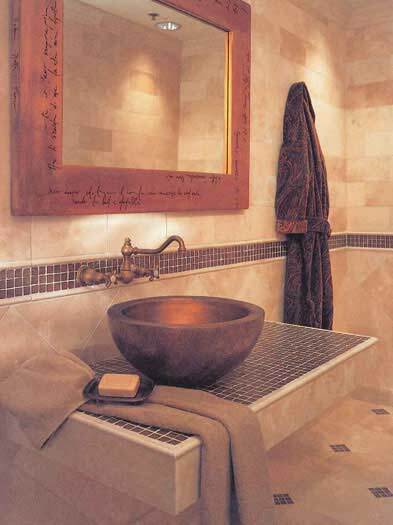 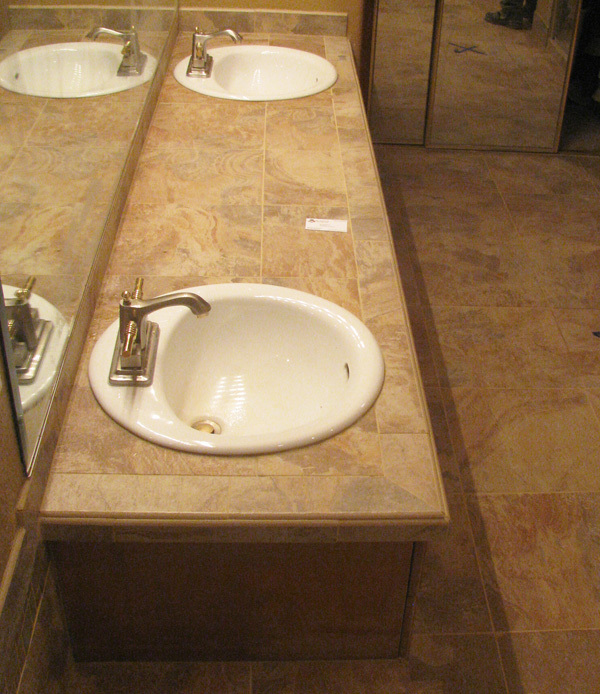 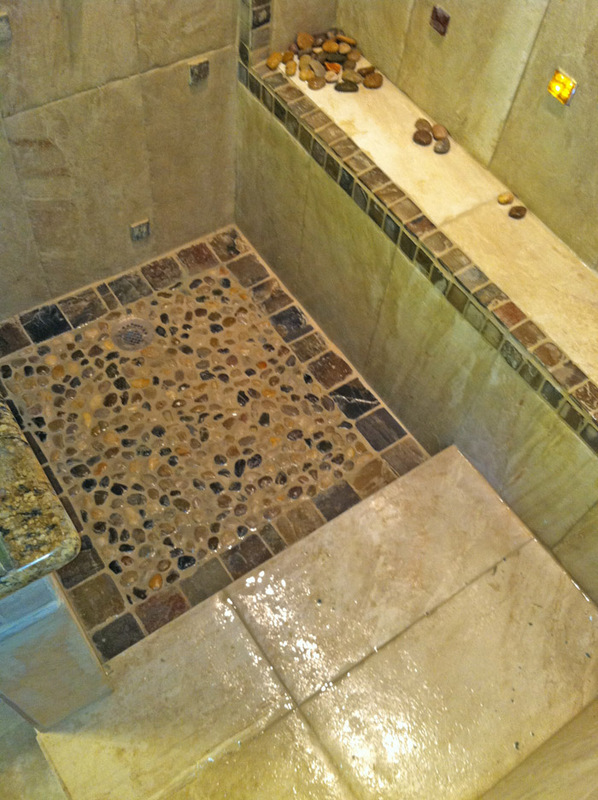 There are some pictures of a beautiful master bath in Castle Pines done completely out of travertine tile. 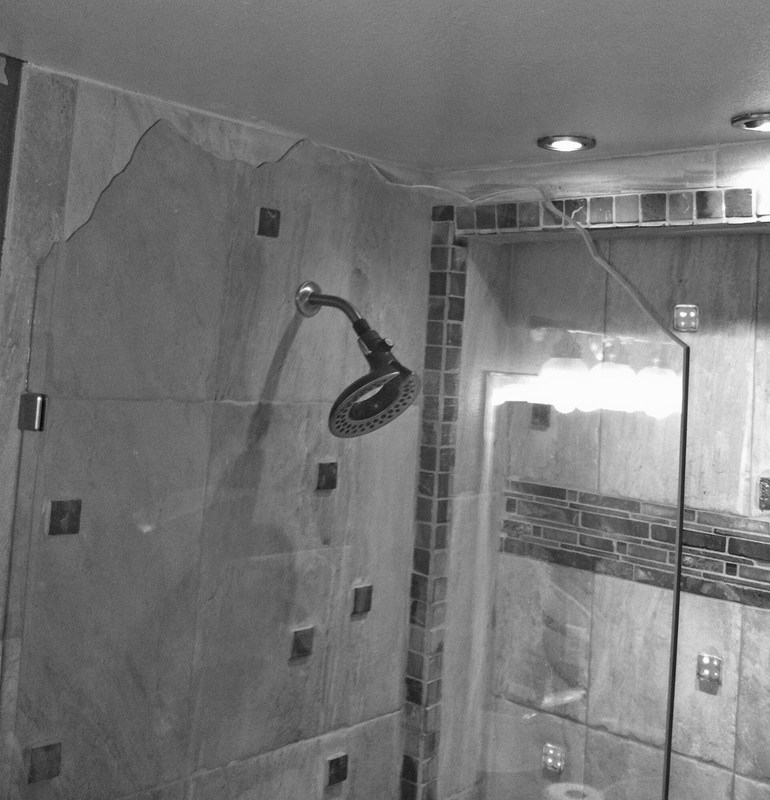 The contractor on that job didn't have the ceiling frame around the shower quite rigid enough for a high quality tile installation job. 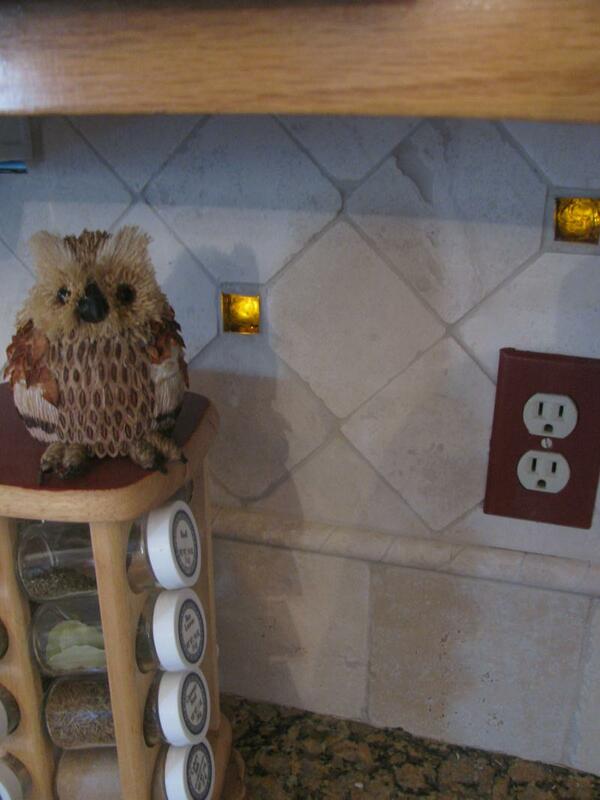 Once pointed out he went ahead and allowed us to modify it. 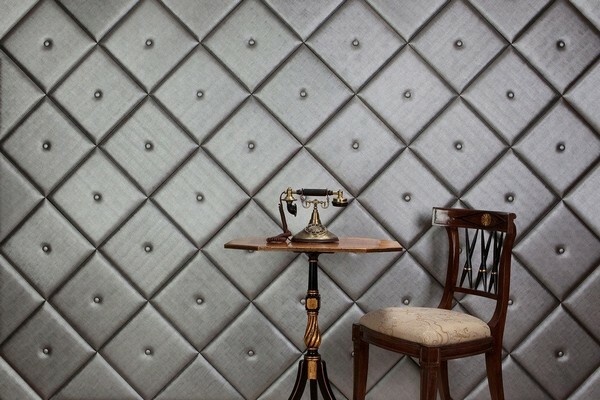 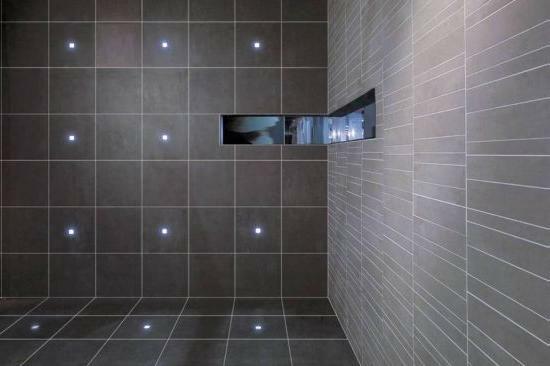 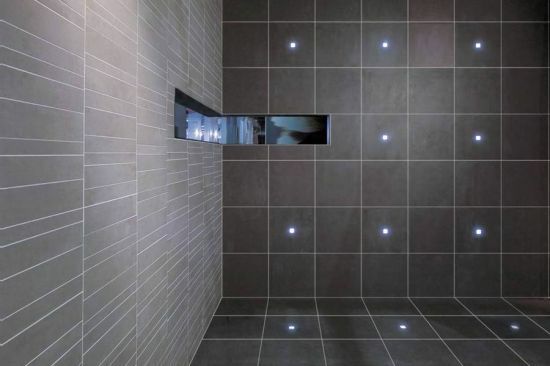 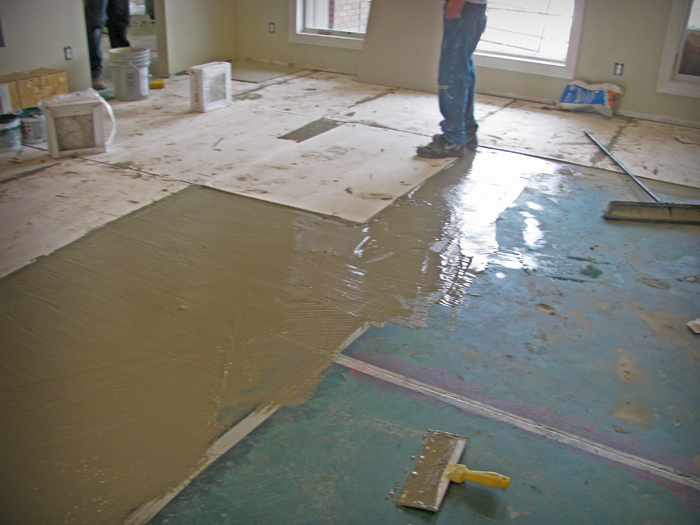 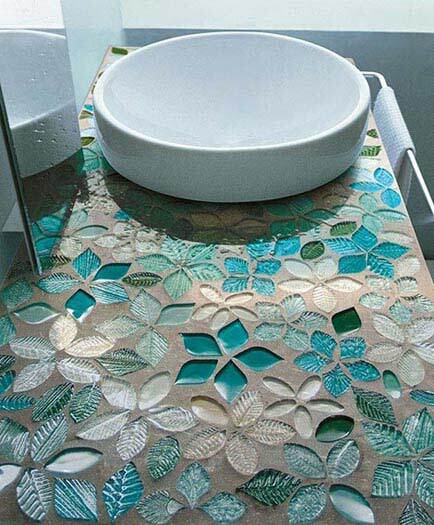 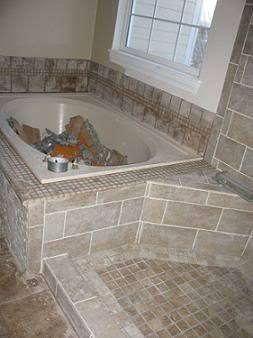 It's that level of expertise you get with qualified and experienced tile installers. 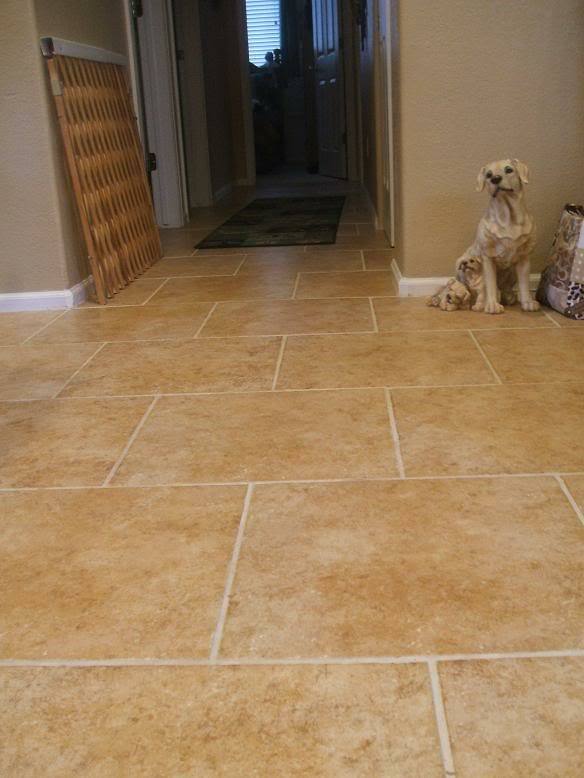 More over Brunetti Tile is owned and operated in Colorado, Castle Rock and Englewood (Lone Tree) to be exact. 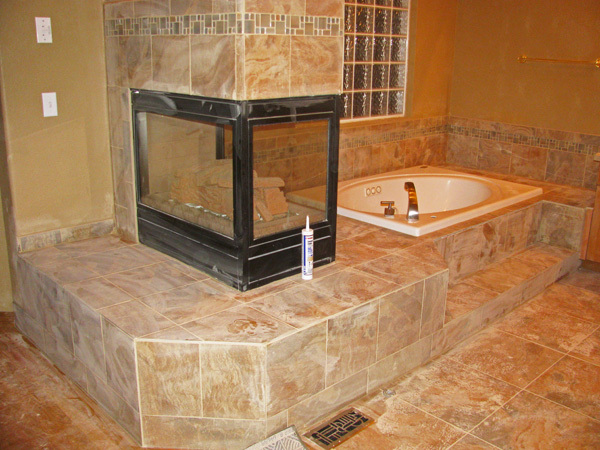 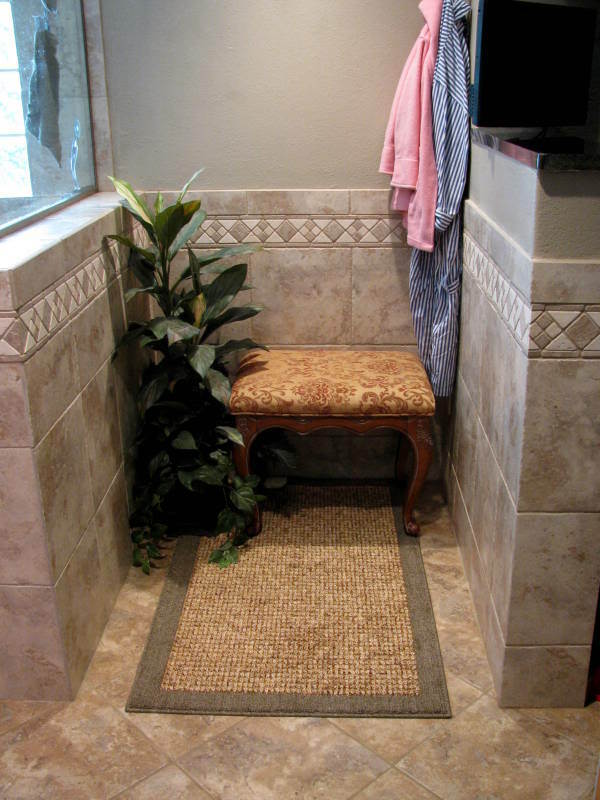 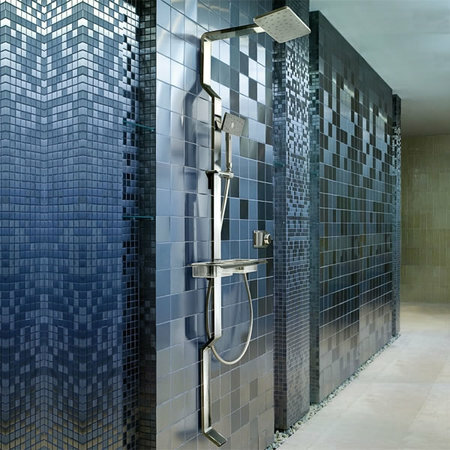 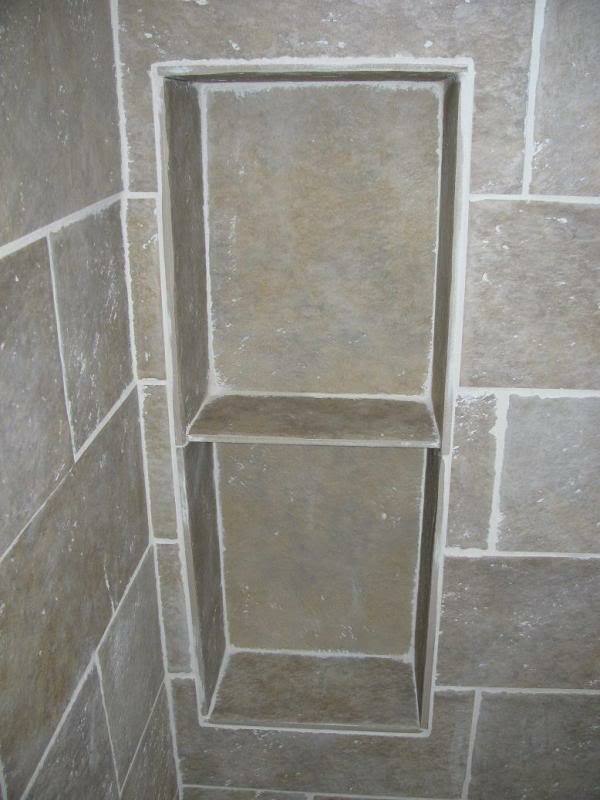 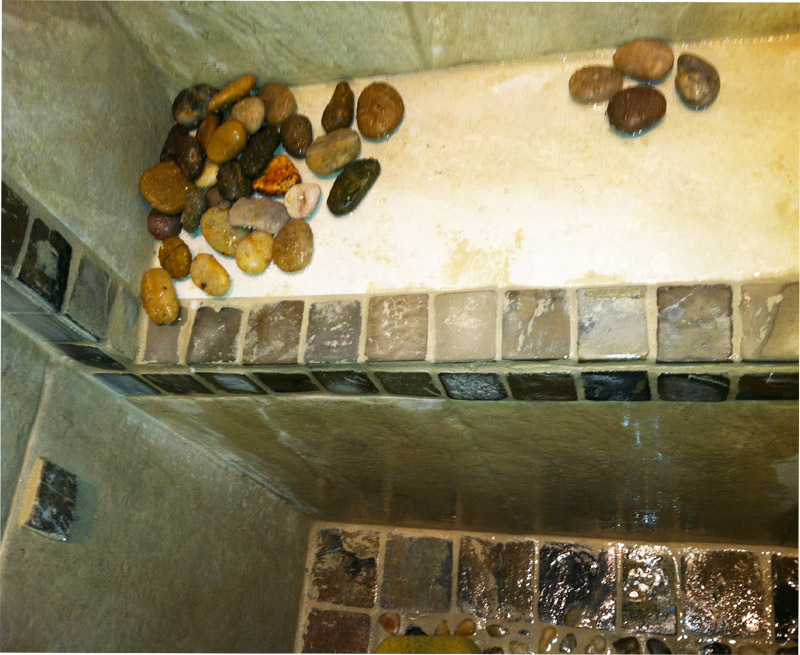 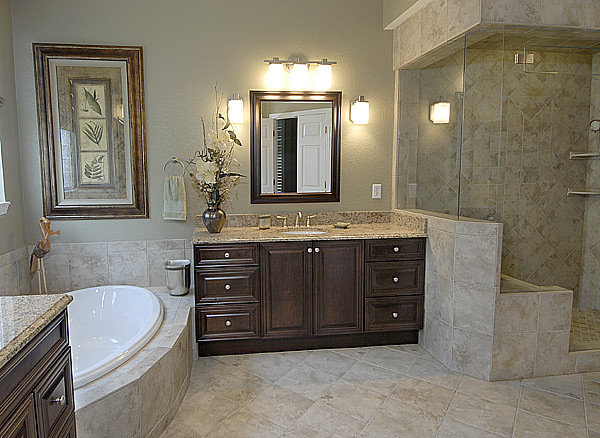 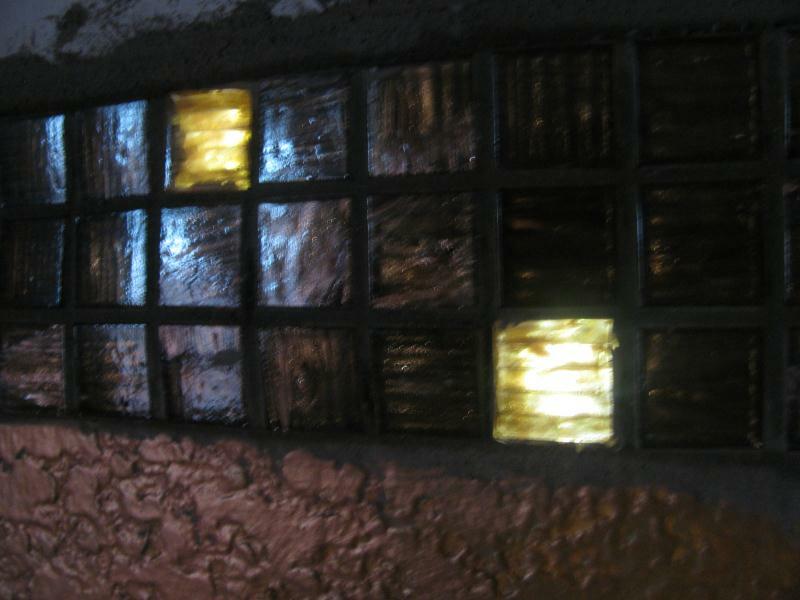 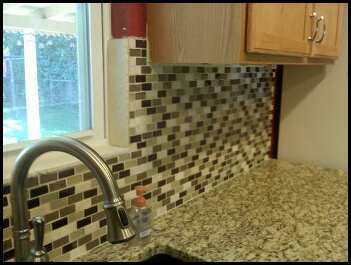 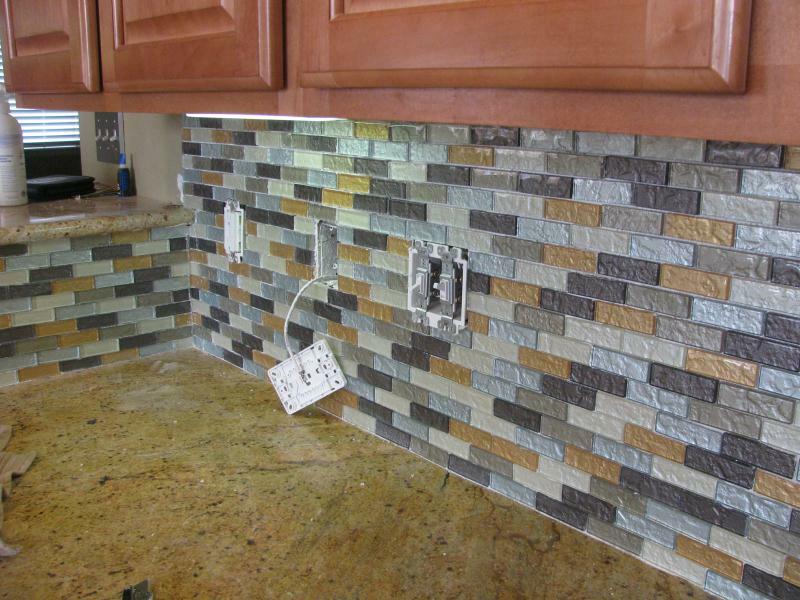 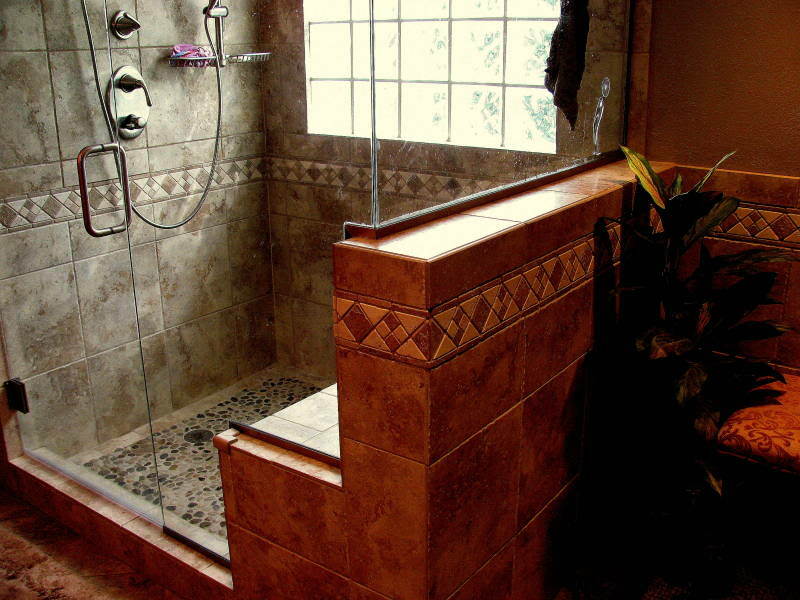 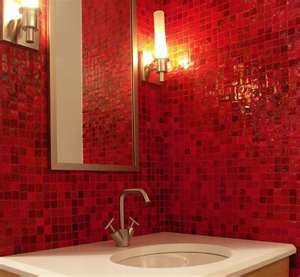 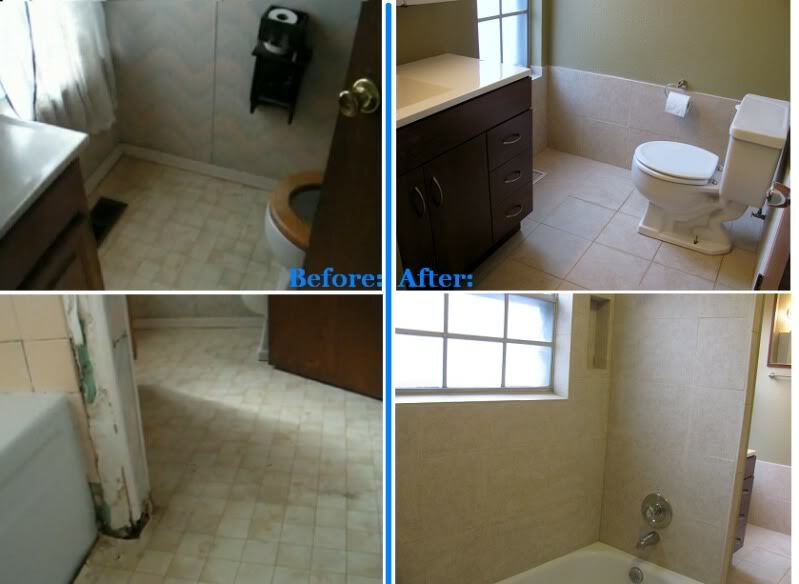 There are some great tile pictures of jobs we've done, above, of a nice bathroom remodel in Parker. 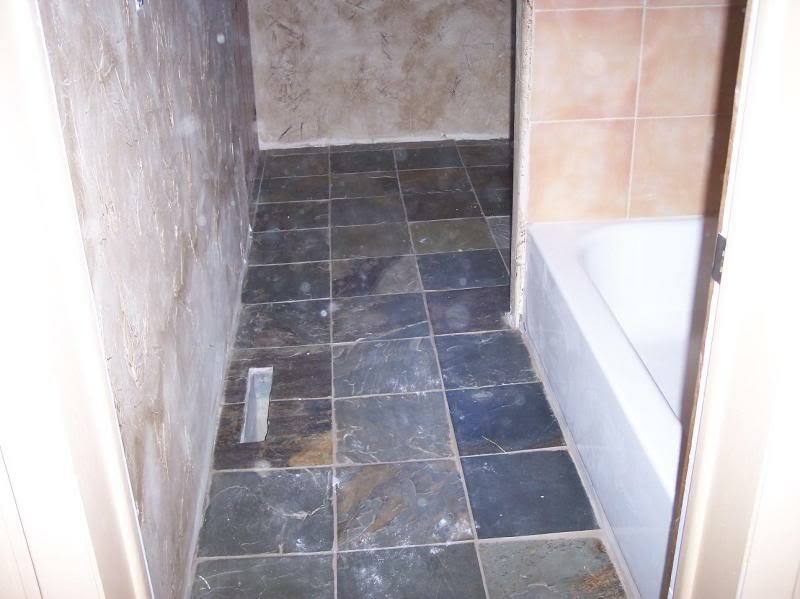 That particular job we were in control of from beginning to end. 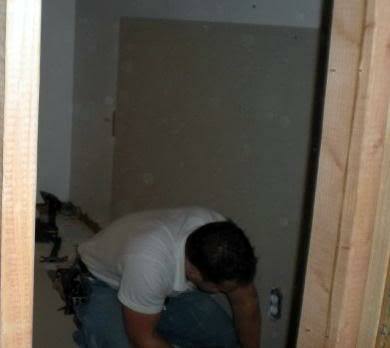 So there was no need to inspect framing or beef-up sections. 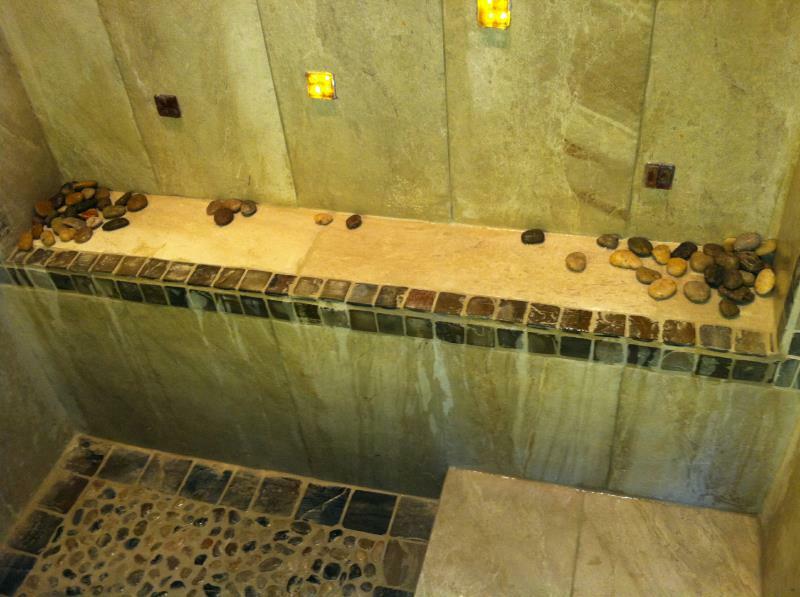 That tile was all porcelain with a nice river rock natural stone mortar bed. 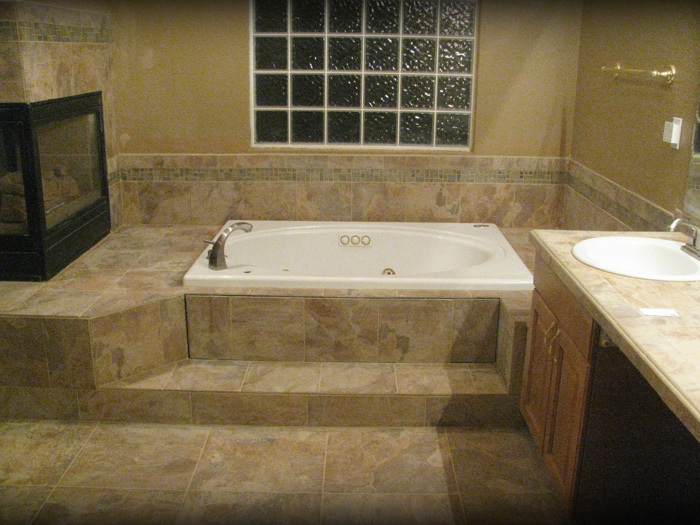 Materials were from Parker, CO "Carpet Exchange" whom sells plenty of high quality tile at affordable prices. 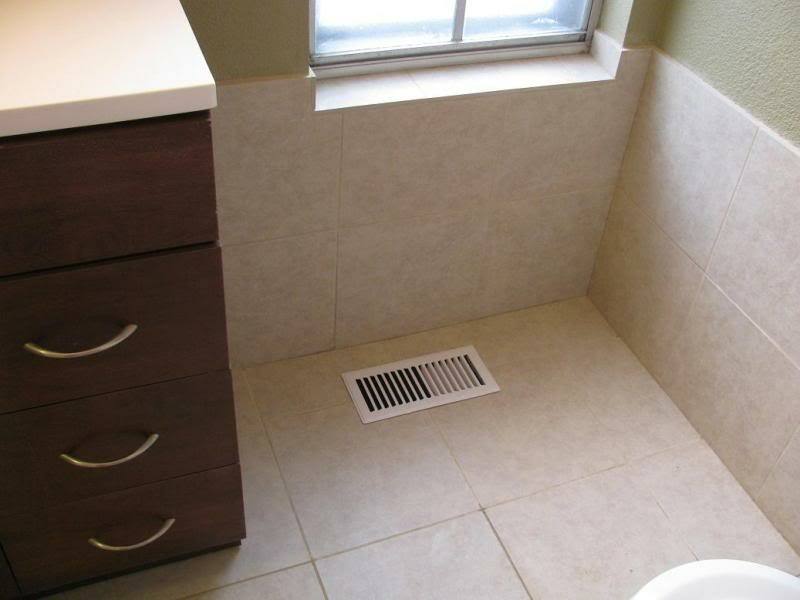 They don't have JUST carpet. 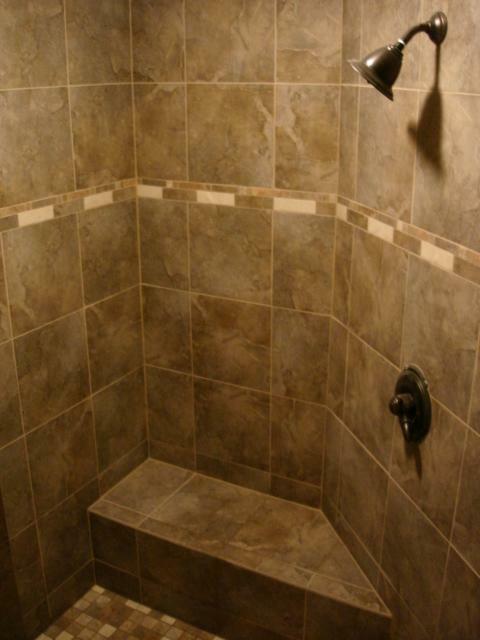 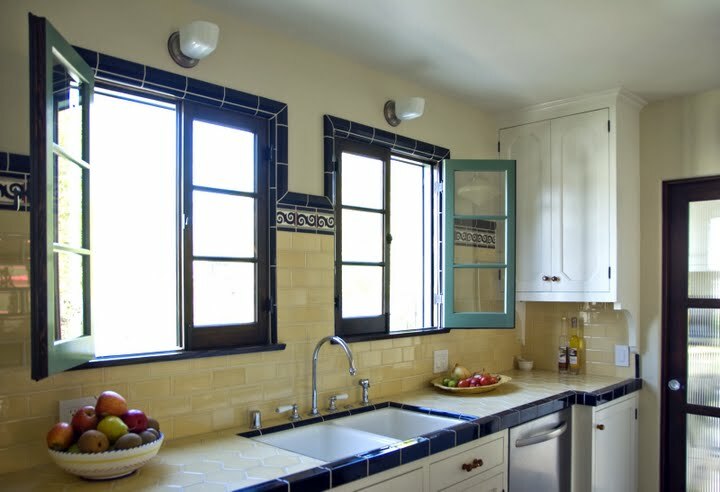 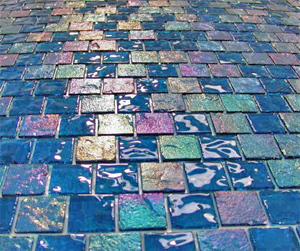 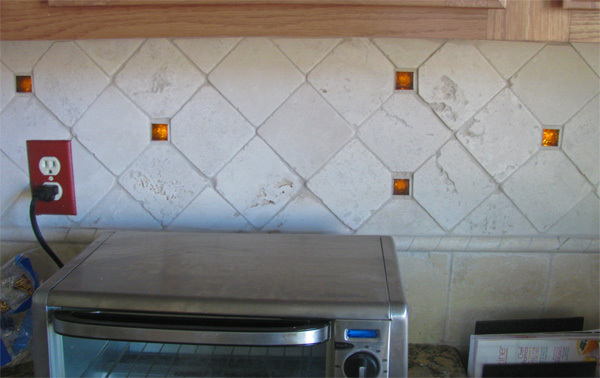 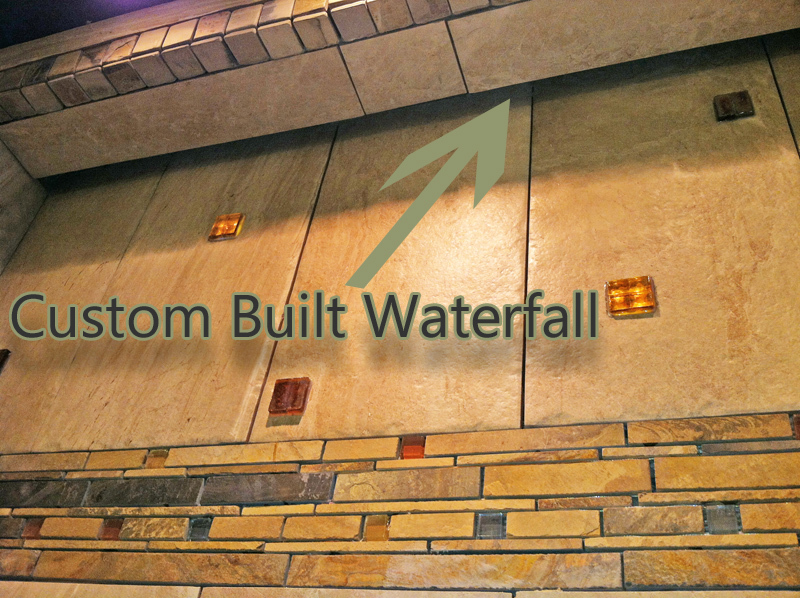 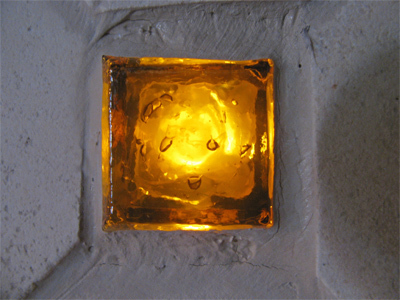 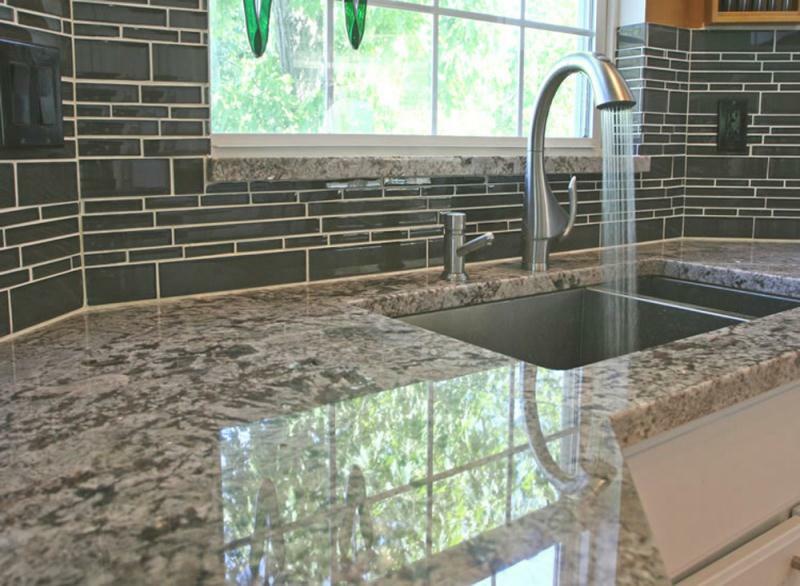 Above you will also find pictures of tile jobs from Larkspur, CO and Littleton, CO. We like to think we are as good as it gets for any tile installation in the Colorado area. 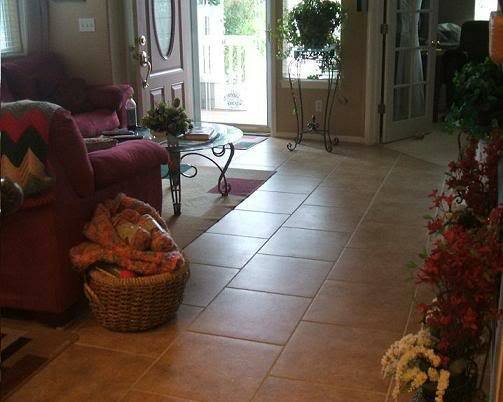 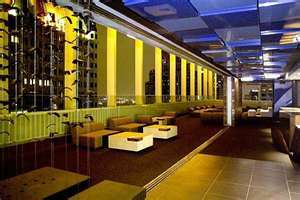 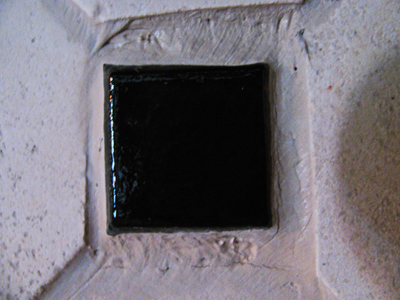 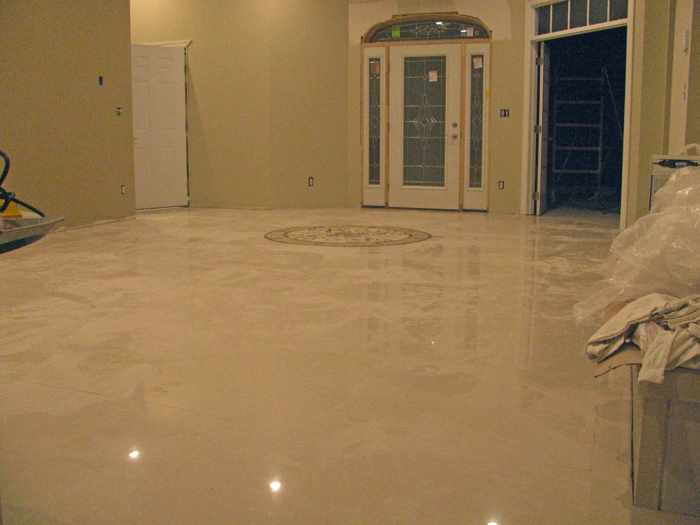 We not only provide high quality tile work, are clean, polite and easy to work with but very affordable as well. 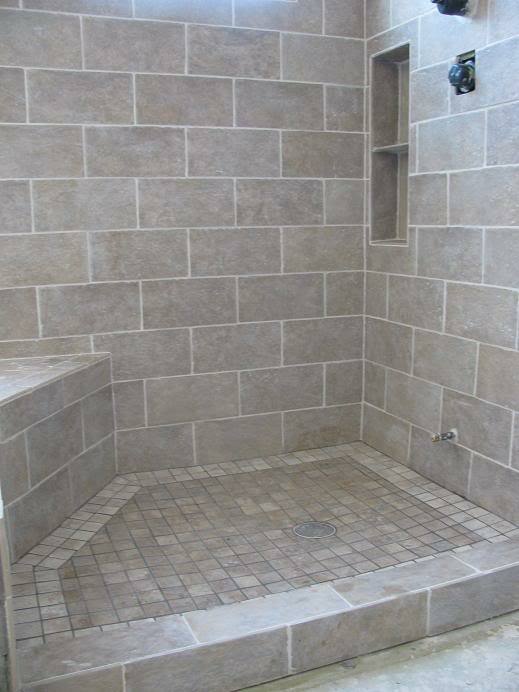 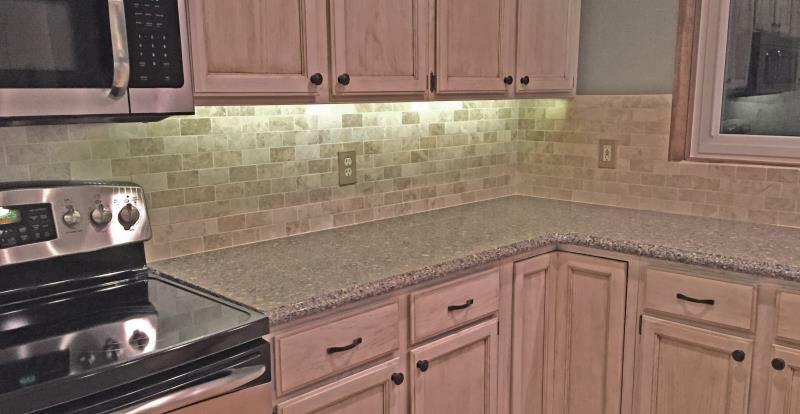 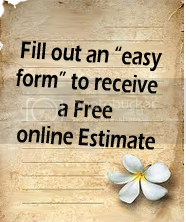 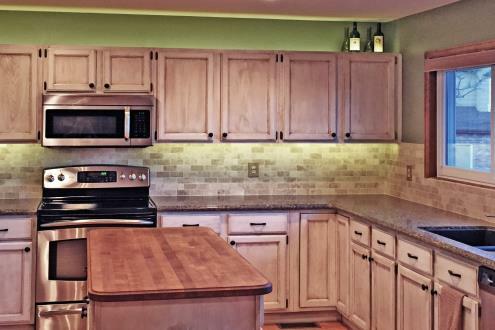 If you want to see more pictures of tile remodels, kitchens or tile bathrooms in the Douglas County area just let us know.